Located in the northeast of Brazil, these stadiums for the 2014 World Cup are in beautiful cities on the Brazilian coast, destinations known for their natural beauty and gorgeous beaches. Located in the northeast of Brazil, these stadiums are in beautiful cities on the Brazilian coast, destinations known for their natural beauty and gorgeous beaches. Without a doubt, they are excellent places to enjoy soccer and the idyllic scenery. In between games you can take the chance to discover the historic center (Pelourinho) of Salvador, wonderful Boa Viagem Beach in Recife, the dunes of Natal, or the cultural diversity and fantastic beaches of Fortaleza. Located in Salvador, the renovated Arena Fonte Nova stadium has kept its original features, while also implementing a metal roof, a panoramic restaurant, and a soccer museum. The project also included a parking lot, a shopping mall, a theater, and an area for concerts. The stadium will host three first seed group stage matches during the tournament. The stadium is just over a mile from tourist attractions like the Pelourinho (the historic center of the city) and is close to a variety of accommodation options, including Sheraton da Bahia and Pousada do Pilar. Featuring a maximum capacity of 42,849 spectators, Arena Pernambuco is a very new stadium located in Sao Lourenco da Mata, in the metropolitan area of Recife. 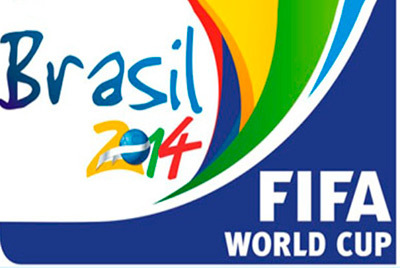 The stadium will host five games of the 2014 World Cup. If you're looking for somewhere to stay in the city, we recommend you choose a hotel in the Boa Viagem Beach area, such as Beach Class Suites Recife, Golden Tulip Recife Palace or Hotel Atlante Plaza. The modern Estadio das Dunas stadium was inspired by one of the most typical natural attractions in Natal. It pays homage to the site not just in its name, but also in its impressive design, imitating the beautiful dunes that dominate the landscape in the state capital of Rio Grande del Norte. Close to the stadium there are lots of great places to stay, some of which include Hotel Maine and Villa Park Hotel. Commonly known just as "Castelao", this stadium in Fortaleza has been fully renovated and can comfortably hold up to 58,704 soccer fans. The remodeling of the arena included the implementation of a new parking lot, box seats, a press area, and modern changing rooms. Brazil will play their second game of the group stage at the stadium. The closest hotels to the arena are Hotel Recanto Wirapu'ru and Hotel Amuarama.